Income inequality means household or individual income unequal in the various participants in an economy. also meaning the large gap between the rich and poor. 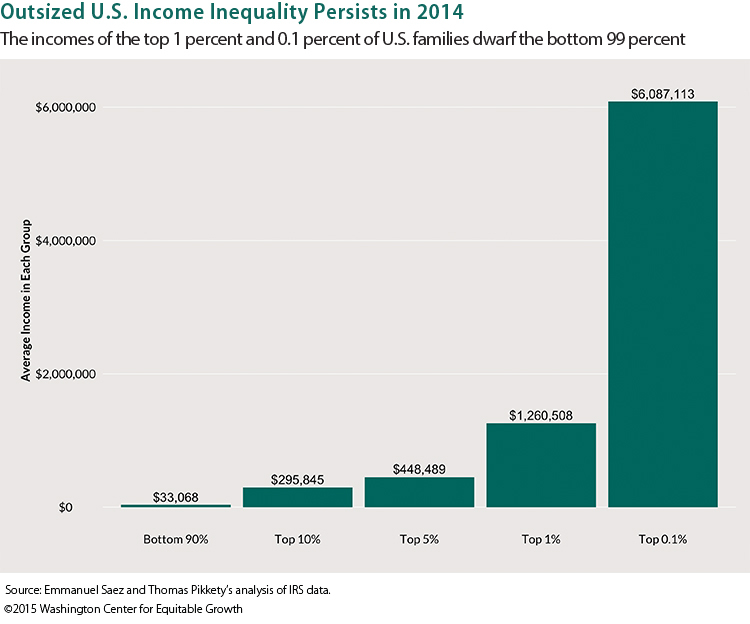 As the above graph, it shows the gap of income inequality is very large. such as the top 10% average income is mostly 9 time of the bottom 90% average income, and top 0.1% average income is over 184 times of bottom 90% average income. since Income inequality will suffer unfair treatment, therefore, Income inequality always is a big problem in any countries.